Titubanda — a feast of brass and percussion touring the East Coast, coming from Honk! street band festival in Boston, MA, via Providence to New York City. They’ve already taken their maelstrom-sound from the Coliseum to many European events and festivals in France, Germany, Spain, the Balkans… and now they’ve crossed the Atlantic for the first time to celebrate their tenth anniversary. 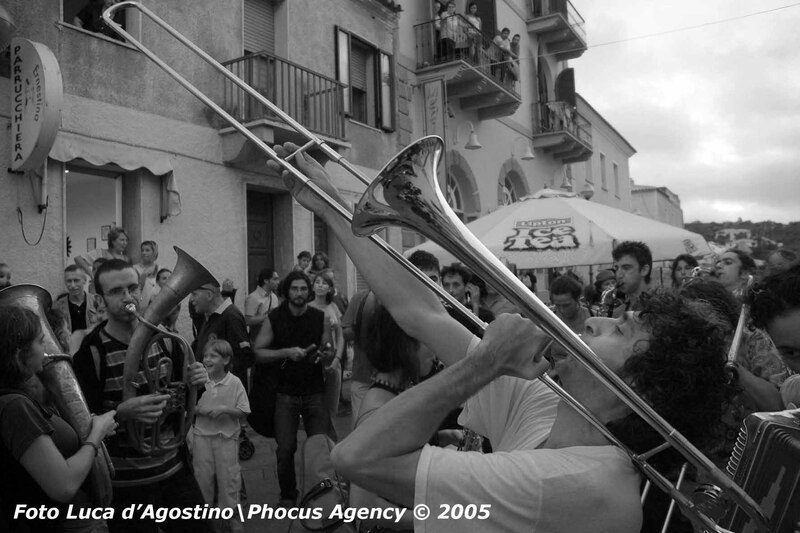 Titubanda is a 35 piece brass band from Rome, Italy, playing everything from traditional Italian folk songs to avant-guard jazz via Latin American rhythms and Arabic melodies. A musical journey from Cuba to Bombay, through the Balkans and Cairo, reinterpreting classics and inspiring original compositions. Omnivorous, and with a robust appetite, the band loves not only traditional homely recipes but also exotic cuisine, spicy dishes - sometimes with the odd acid flavour. 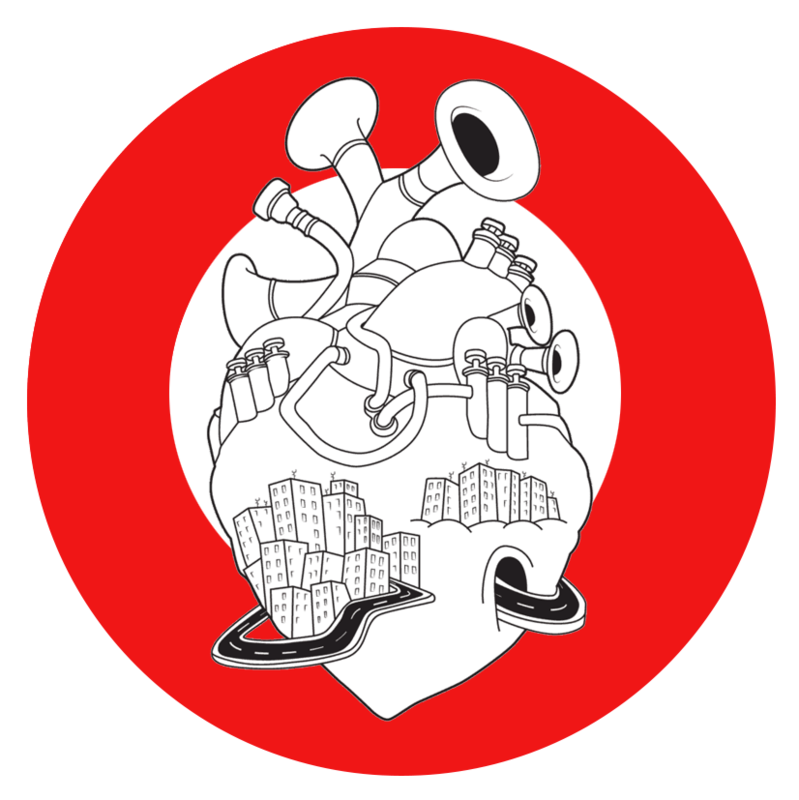 Titubanda - the “Wavering Band” - was born on may 1st 1998 as an open collective, a musical workshop where everyone can play and share the pleasure of making music. Rejecting merit and profit criteria and without any internal hierarchy, the group is not only a focus for cultural and social aggregation, but is also the bearer of these values into the wider community, taking part in political demonstrations and social initiatives. The band’s presence in city streets has a poetic impact in contrast with the dehumanizing rhythms and rampant individualism of our society. 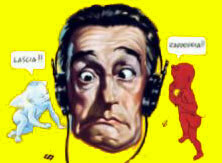 Its music creates immediate involvement, awakening deeply repressed emotions and unleashing the desire to party together. To its social commitment, Titubanda adds a passion for partying that has taken the band to major festivals of street bands throughout Italy and Europe: Munich, Germany; Paris and Montpellier, France; Guca, Serbia; Bilbao, Spain… In tune with this ethos, the band itself promotes and organizes the “Sbandata Romana”, an international street band festival that in 2005 saw it’s 3rd edition. Celebrating ten years of activity Titubanda will cross the Atlantic for the first time to tour the East Coast, playing in Providence, at Honk! street band festival, Boston, and in New York City. Titubanda’s ultimate and legendary - though not unreachable - aim is to succeed in playing a well-tuned A minor chord! ore 12,05: partenza da Fiumicino, volo AZ 614.
ore 15.20: (locali) arrivo Boston Logan. Ven 10 ott: Boston: Honk! 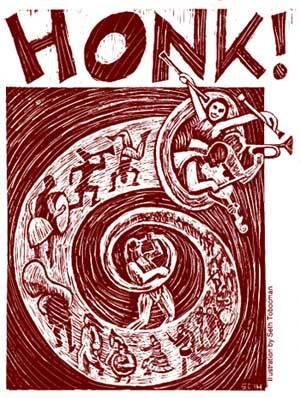 Sab 11 ott: Boston: Honk! Dom 12 ott: Boston: Honk! ore 21:00 concerto notturno da stabilire. ore 21,20 partenza da JFK, volo AZ 611 .